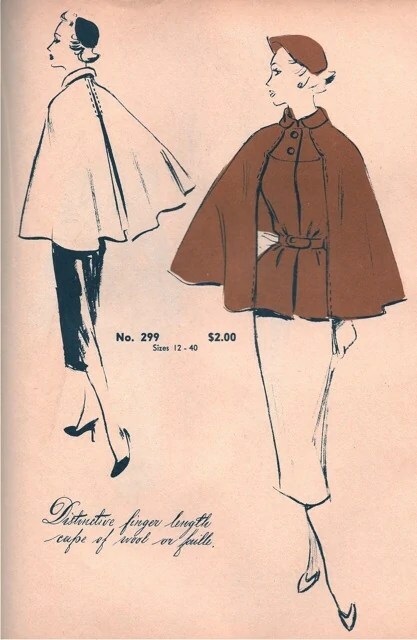 Originator 299 (c. 1952) Image via the Vintage Patterns Wiki. The cape trend of the last two years shows no sign of abating. (Read a Fashionising post about the trend here.) In terms of sewing patterns, Donna Karan’s V2924 was ahead of the trend (see Erica B’s version here) and this fall we have V1322 by DKNY. Paco Peralta has several cape designs available including the sculptural Funghi. 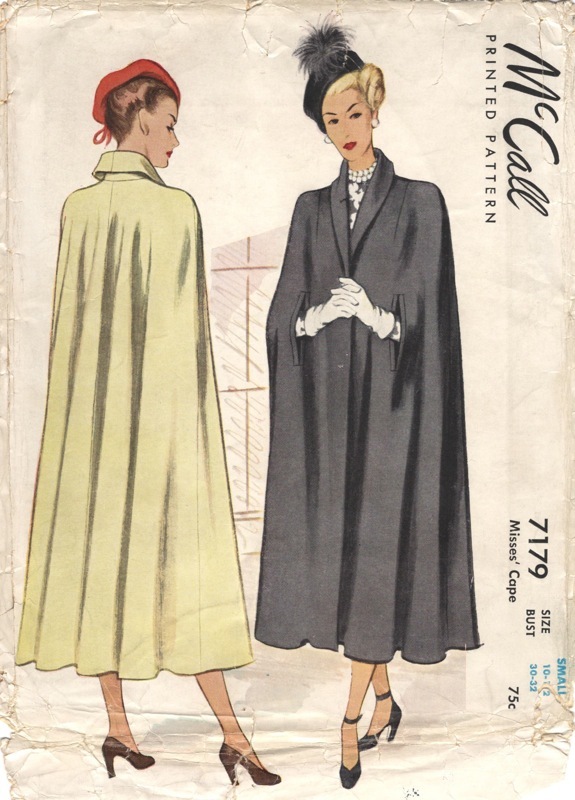 In vintage reissues, Butterick has re-released some vintage cape patterns in their Retro line: B6329 (from 1935) and B6411 (a reissue of Butterick 4570 from 1948). I often find myself reaching for the vintage version of a current trend, and I’ll have a cape project to share with you soon. 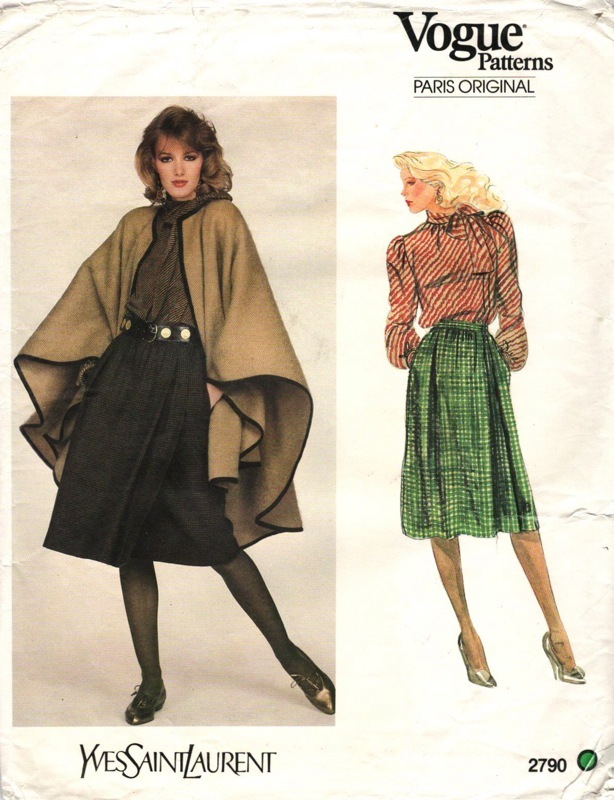 While looking for the right pattern, I was struck by the variety of cape designs over the decades. 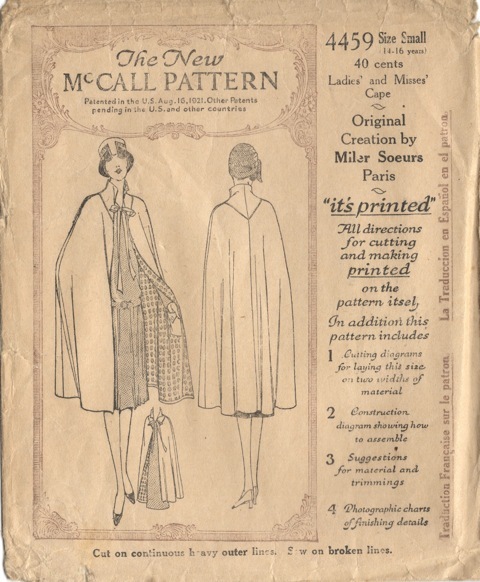 Here’s a selection of vintage cape patterns from the Twenties to the Eighties. McCall Style News, February 1936. Image via Etsy. 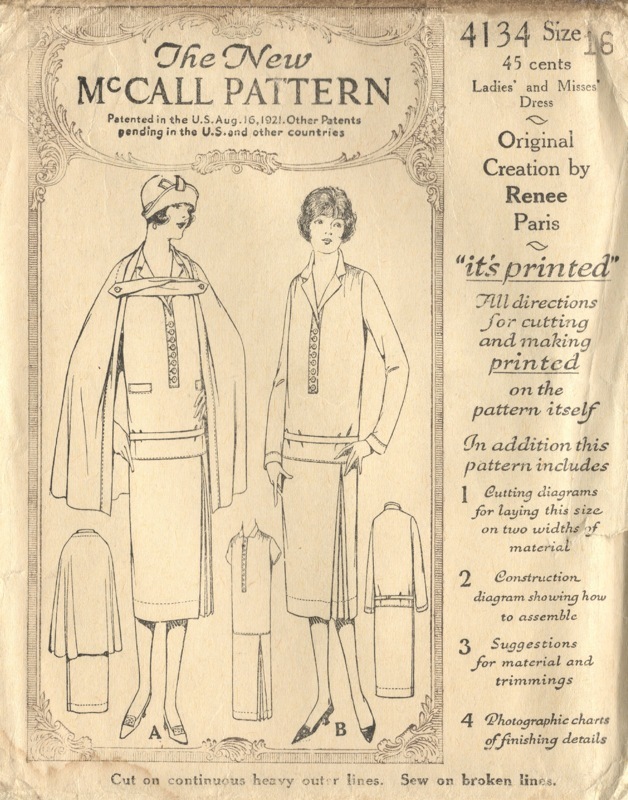 McCall 8501 (1935) Image via My happy sewing place. Simplicity 2522 (c. 1938) Image via puu’s door of time. 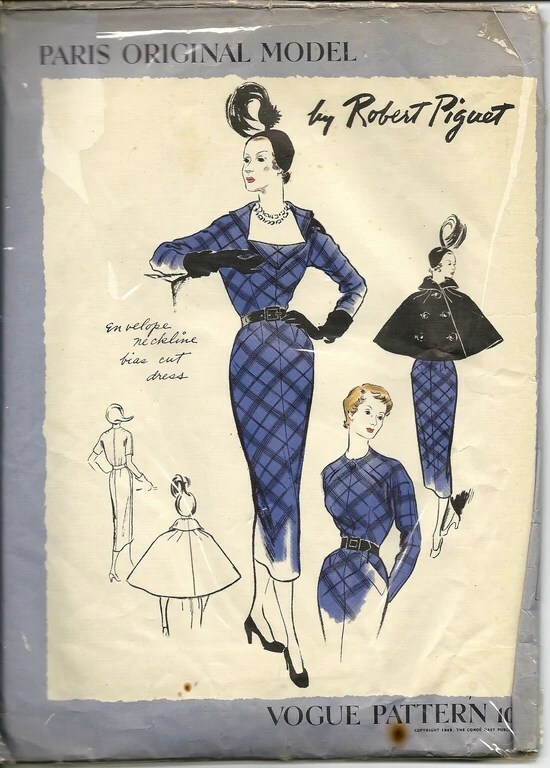 Vogue 1089 by Robert Piguet (1949) Image via the Vintage Patterns Wiki. Bernard Blossac illustration of a cape and dress by Robert Piguet, 1949. Image via Hprints. 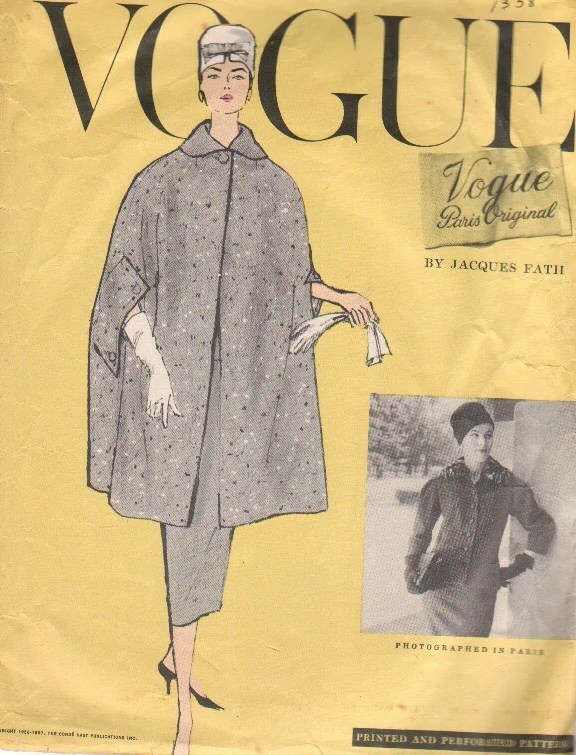 Vogue 1358 by Jacques Fath (1956) Image via the Vintage Patterns Wiki. 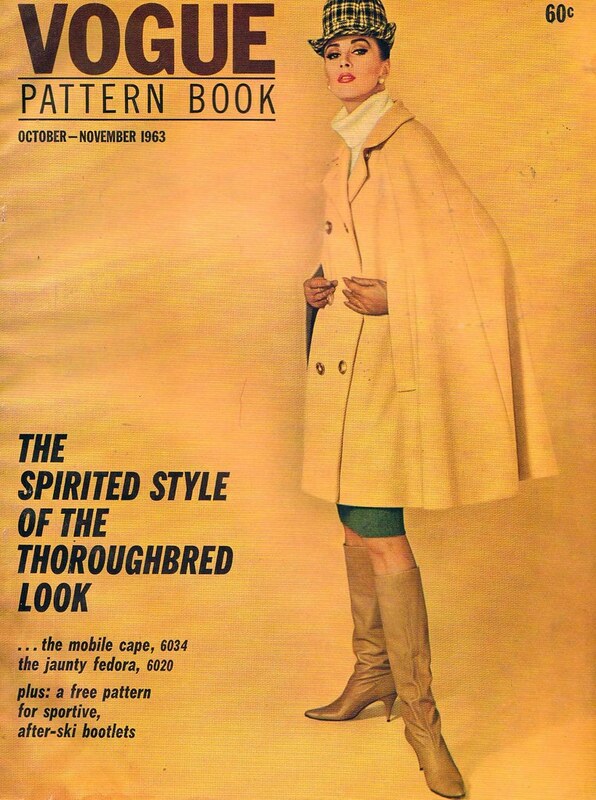 Vogue Pattern Book, October/November 1963. Model: Wilhelmina Cooper. Image via flickr. 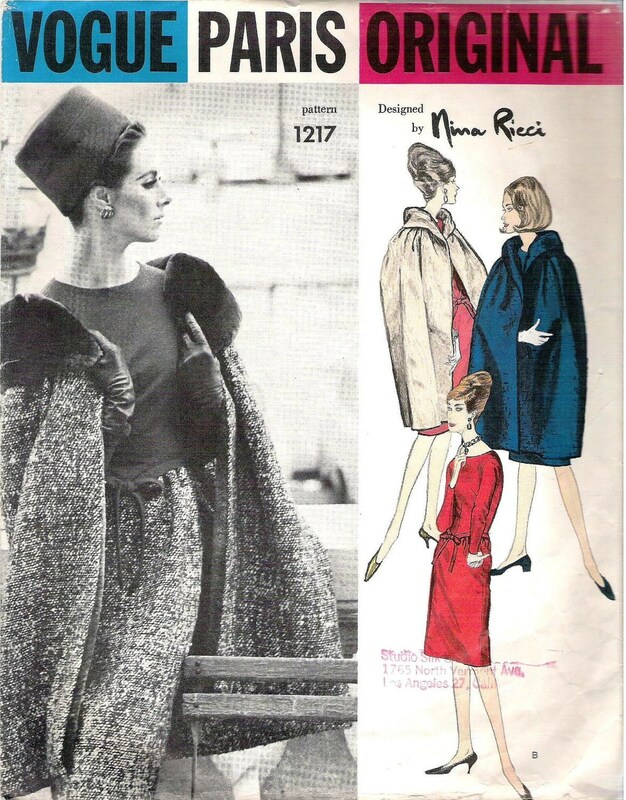 Vogue 1217 by Nina Ricci (1963) Image via Etsy. 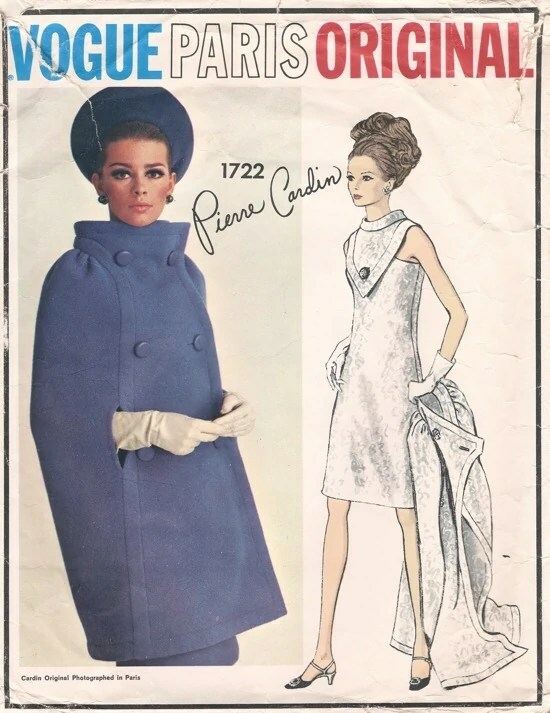 Vogue 1722 by Pierre Cardin (1967) Image via the Vintage Patterns Wiki. 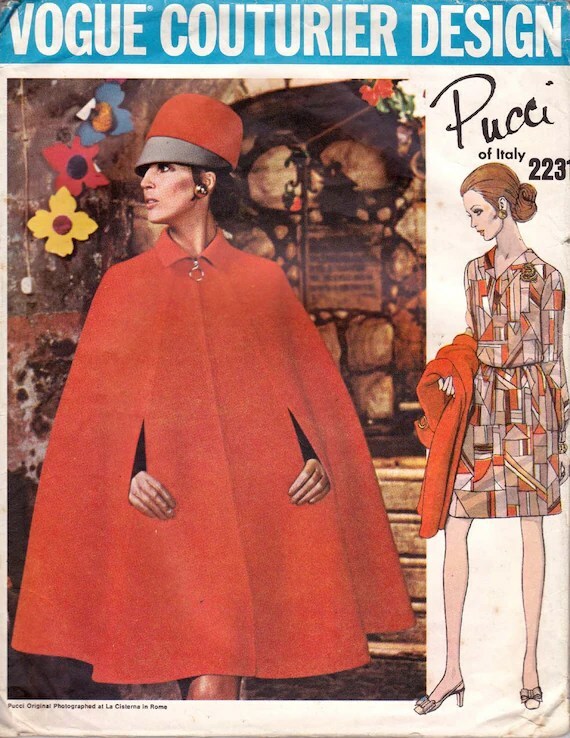 Vogue 2231 by Pucci (1969) Image via Etsy. 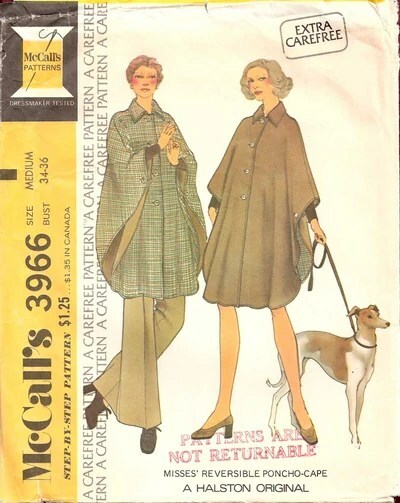 McCall’s 3966 by Halston (1974) Image via the Vintage Patterns Wiki. 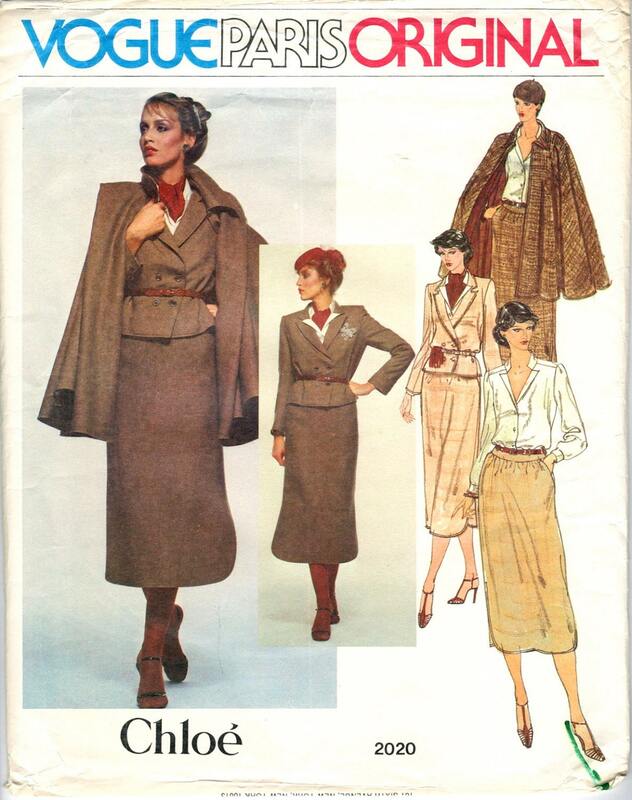 Vogue 2020 by Chloé (1978) Image via PatternVault on Etsy. Vogue 2790 by Yves Saint Laurent (c. 1982) Model: Terri May. Vogue 2163 by Yves Saint Laurent (1988) Image via Etsy. Would you wear a vintage cape, or do you prefer the cape’s more recent incarnations? FABULOUS post! I absolutely adore capes. I really love the two 1920’s capes you show. That first one with a tab is just amazing! Thanks for highlighting my 1935 cape…I really love it–I also want to try out the ‘false sleeve’ capes from the early 40’s! great post as always. you’re making me jealous of debi’s 1935 wonder all over again! something about the earlier decades of capes strikes me as more romantic than the later versions, although the 60s and 70s have more appeal to me than the 50s versions. 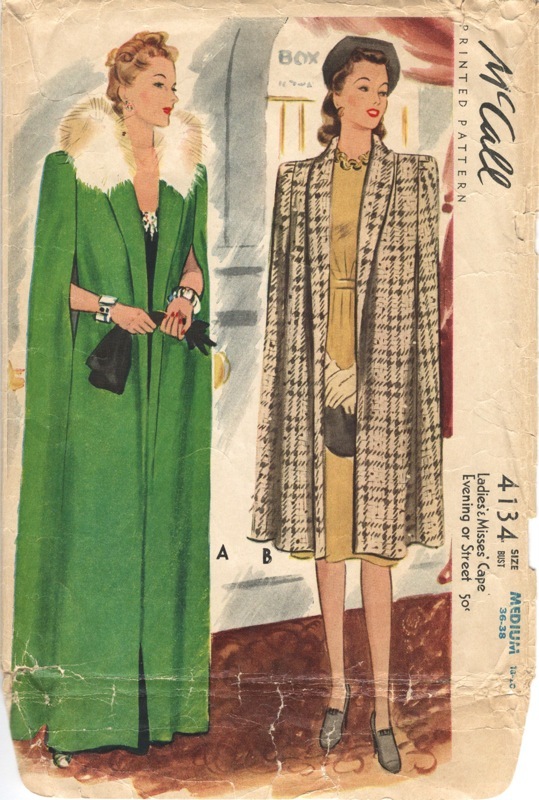 but for me, there is nothing classier than a 1930s or 1940s cape pattern…. 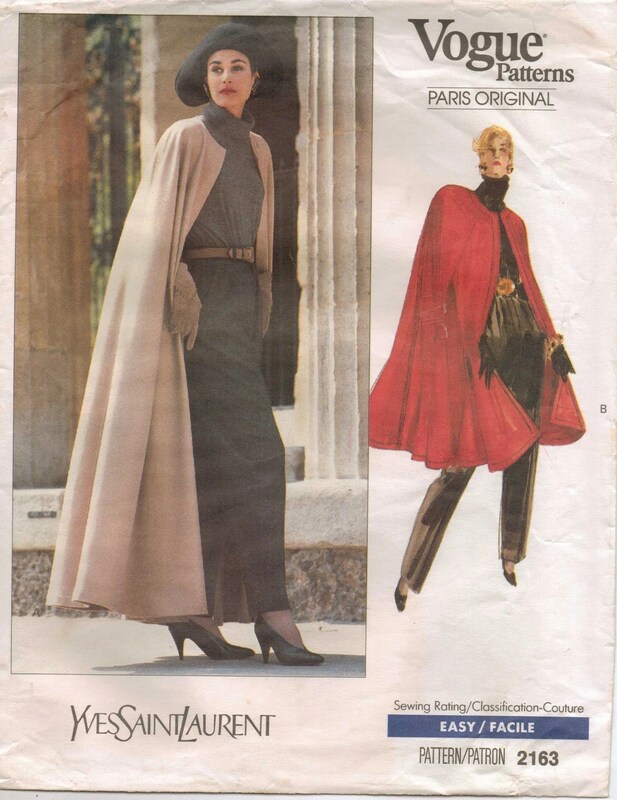 Yes, I would wear a cape and actually just made one from a vintage Vogue pattern, c. 1970s. (I just did a post on it a couple of weeks ago.) 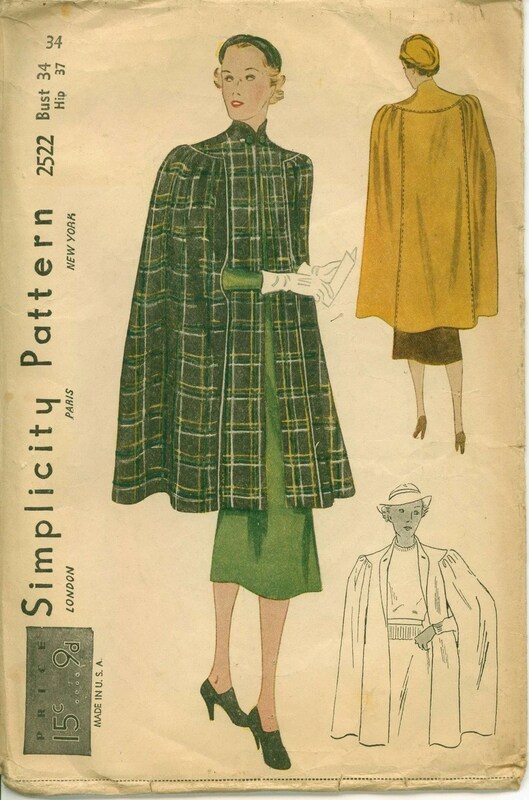 I have several other cape patterns in my collection, with plans to make at least a couple more – I think they are elegant!! I’ve always liked the look of capes, as long as they’re not too restrictive. 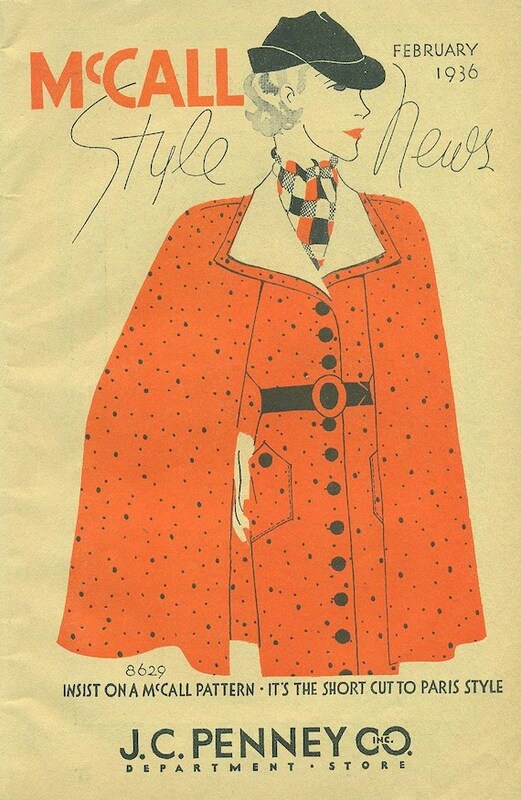 I was actually obsessed with capes a few years ago, to the point where I wanted to make one for myself based on a ’70s Fabiani pattern from black wool. I never got round to it and my fad has now passed, but I still love cape patterns. Not many people wear them so it’s really novel and distinctive when someone is wearing one. I’m really looking forward to seeing your choice of cape pattern.